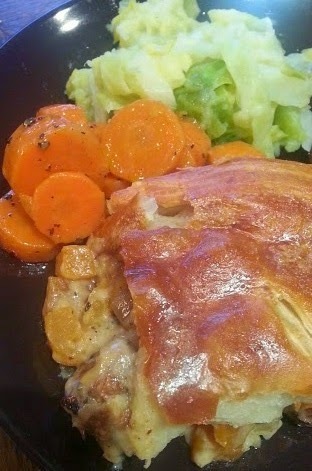 The Brick Castle: Back To Your Roots recipe book review ~ Colcannon, Carrots and Pie Recipes. Back To Your Roots recipe book review ~ Colcannon, Carrots and Pie Recipes. When I think of home cooked food it's impossible not to think of root veg and potatoes. Good solid food that is incredibly cheap and will fill you up and keep you warm on cold hard days. 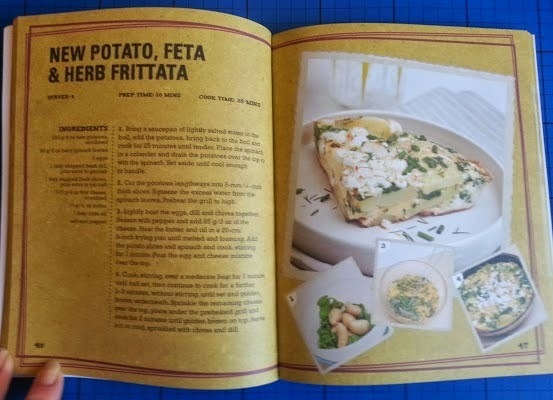 The Back To Your Roots recipe book from Parragon is full of recipes you wish your Mum had made. Colcannon (page 102) is an Irish classic, and like most root veg recipes, incredibly simple yet requires a bit of elbow grease to prepare. Cook the shredded cabbage in a saucepan of boiling salted water for 7-10 minutes, drain thoroughly and set aside. 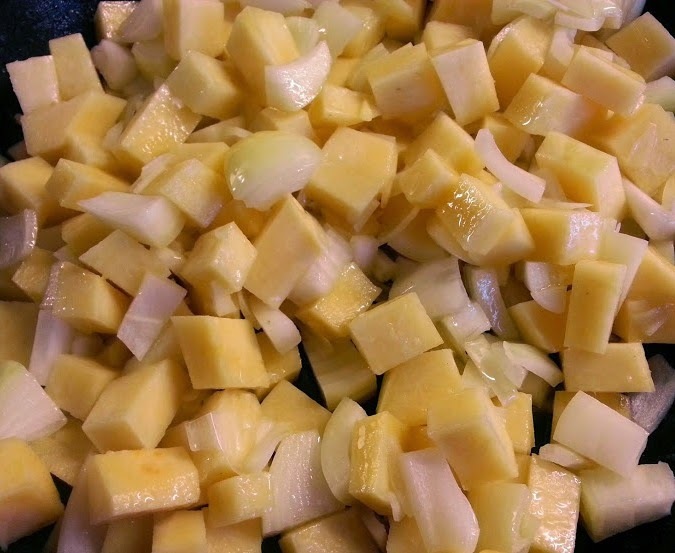 Bring another pan of salted water to the boil and add the potatoes and leek. Simmer over a medium low heat for 15-20 minutes until cooked through. 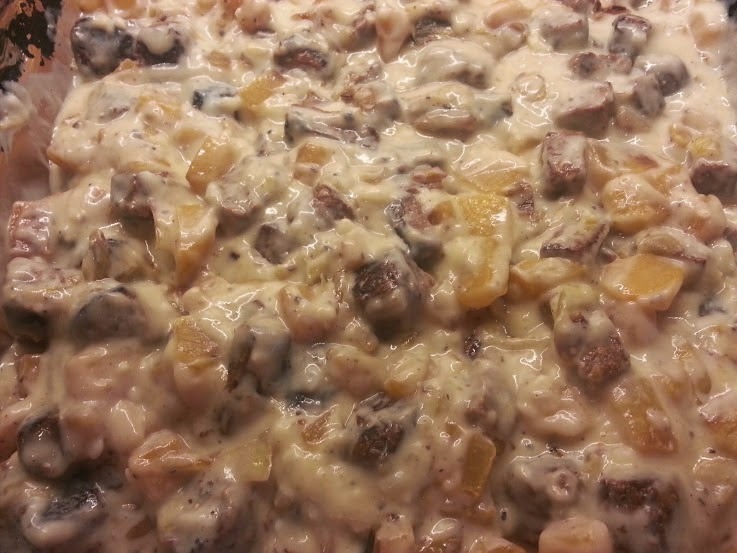 Drain the potatoes and leek and stir in the milk and nutmeg. Mash it thoroughly. 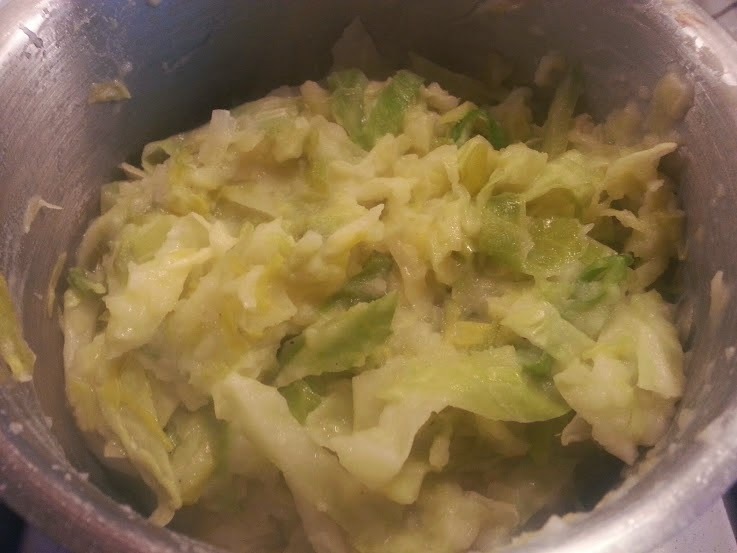 Add the drained cabbage to the mash, season to taste and stir well. Spoon the mixture into a serving dish, make hollow in the centre and place the knob of butter in the hollow - serve immediately. Vichy Carrots With Parsley (page 120) - not just any old carrots, carrots with style. 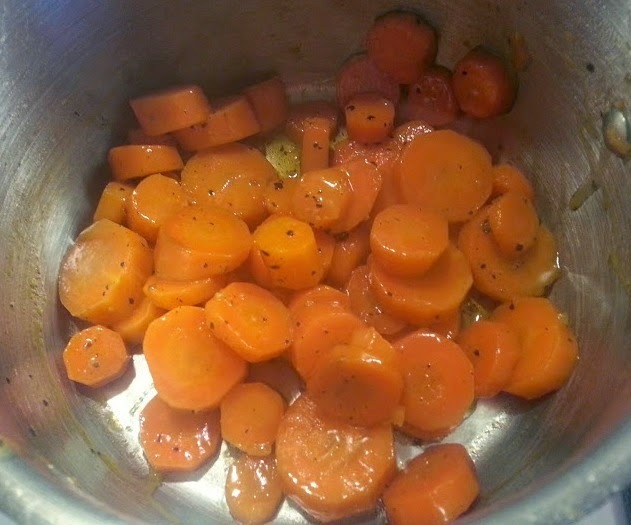 Melt the butter in a large, heavy saucepan, stir in the carrots, then stir in the sugar and seasonings. Pour over enough water to cover the carrots by 5cm and bring to the boil. Reduce to medium heat and leave to simmer until all the liquid has been absorbed and they are coated in a thin glaze. Transfer to a serving dish and stir in the parsley. Serve immediately. 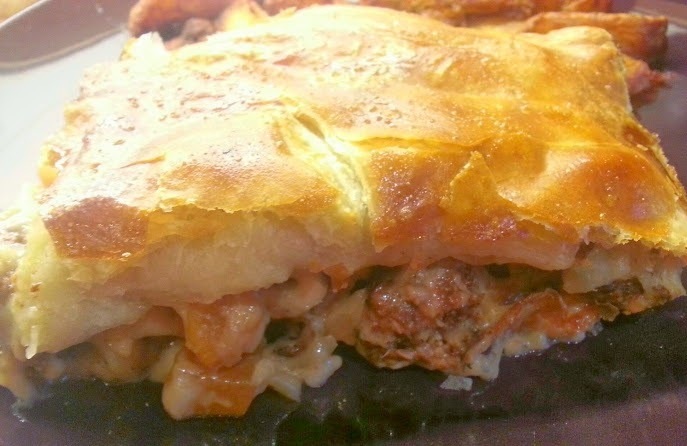 Caramelised Swede, Onion & Ham Pie (page76), was our main dish, but as I don't eat ham I substituted it with the nearest veggie equivalent I could find, which is a kind of lightly beef flavoured soya chunks. I have included the recipe here, but obviously mine is not true to the recipe. 600g cooked ham, cubed (or in my case 600g veggie soya chunks). Put the ham in to a large bowl and set aside. Melt 55g of butter in a large frying pan over a medium heat. Add the onion, swede and sage and season with salt and pepper. Stir well and cook over a medium heat occasionally turning until golden brown, around 35-40 minutes. Meanwhile, melt the remaining butter in a saucepan over a medium heat. Add the flour and stir for 1-2 minutes. Gradually add the milk, stirring all the time to make a smooth sauce. 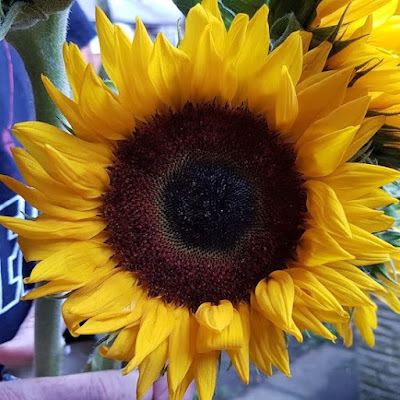 Remove from the heat and season to taste. Roll out the pastry to a rectangle slightly larger than your pie dish (pie will fi a pie dish around 26cm x 18cm). When the veg are caramelised, add to the bowl with the ham, then add the white sauce and stir gently. Transfer to a pie dish, brush the rim with beaten egg and then lay the pastry over the filling. Press the pastry to the rim, trim off excess and brush with the beaten egg. Cook in the oven for 15-20 minutes, or until the pastry is puffed and golden. Serve immediately. The instructions are really easy to follow and nicely laid out. 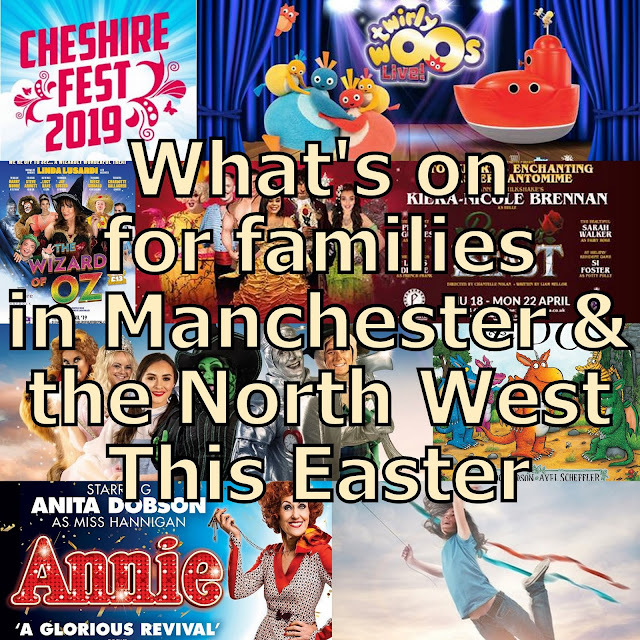 I love good wholesome food that's full of flavour and these recipes were. The meal was a hit. I would have liked a little less white sauce in my pie, and the Colcannon seemed a bit short on potatoes actually, but everything was eaten and the carrots were deemed the best ever. 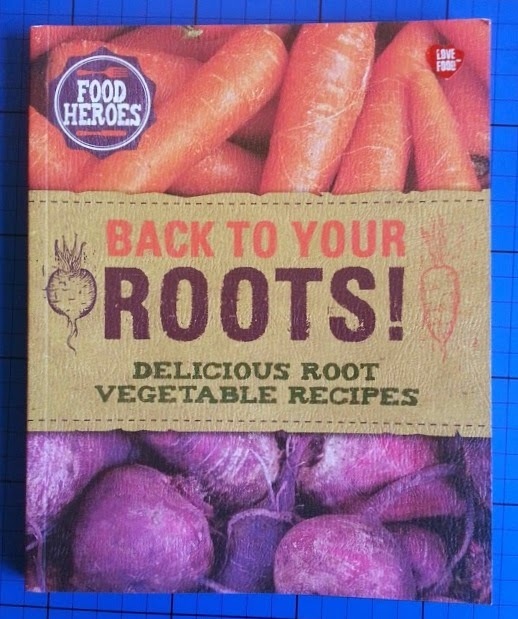 Back To Your Roots has an RRP of only £6.00, which I think is great for a 48 recipe book with 128 full colour pages, and including several hints and tips pages. 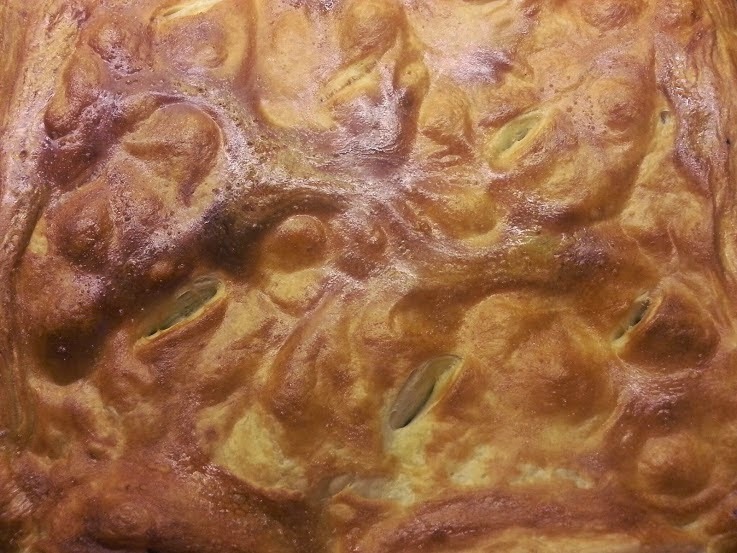 That pie looks lovely, I'm coming round to swede again, I think my mother killed it when we were kids! Must make Colcannon too, not something I've ever made, but I do like eating it. That sounds like a great recipe book with lots of hearty recipes. lovely recipe book with great price! I love Colcannon, it's one of my ultimate comfort foods. Amazing fried up as fritters the next day if you have any leftovers too!